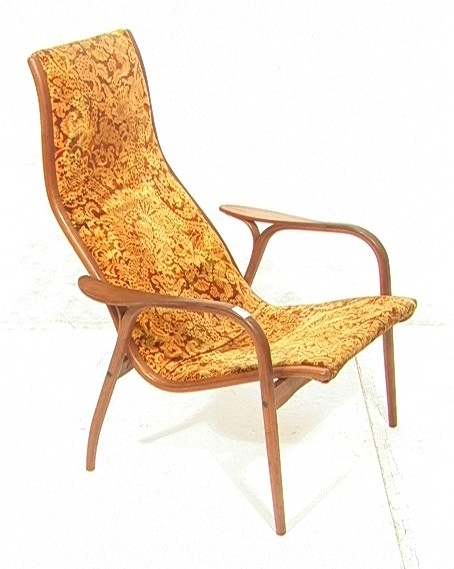 Danish Modern YNGVE EKSTROM Teak Lounge Chair. Golden Fabric Sling Seat. Paddle arms. Frame has nice lines. Unmarked. Condition: Minor dings. Excellent condition. This item came from an estate in Delaware. They were avide collectors of modern designer furniture. This is only one sample of the many, many items that will be sold in a local auction on May 15th, 2012.